This month in my column for Texas Wildlife magazine I featured three talented Texas women who turn trophies into beautiful pieces of art. 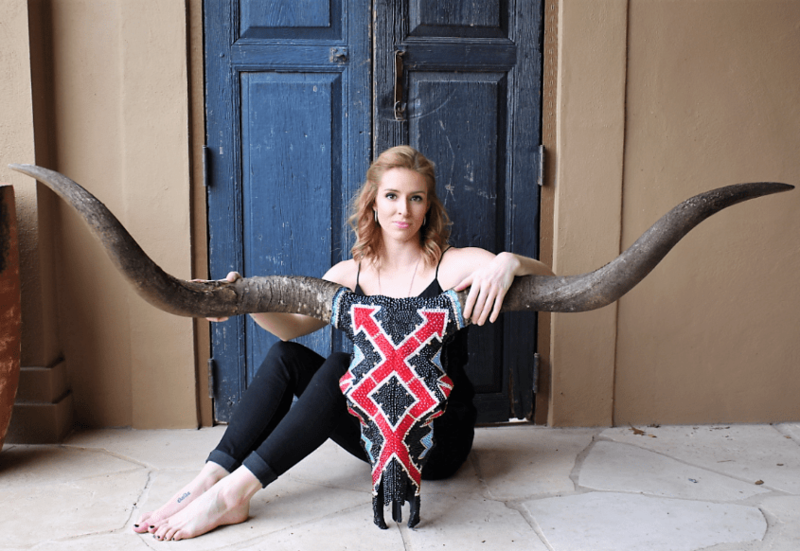 Today I am sharing the first of them–Annlyn Osborn with Haute Horns! I have no doubt you will be as impressed as I me with her work and want to order your own custom set. Sometimes the best ideas come on a whim. 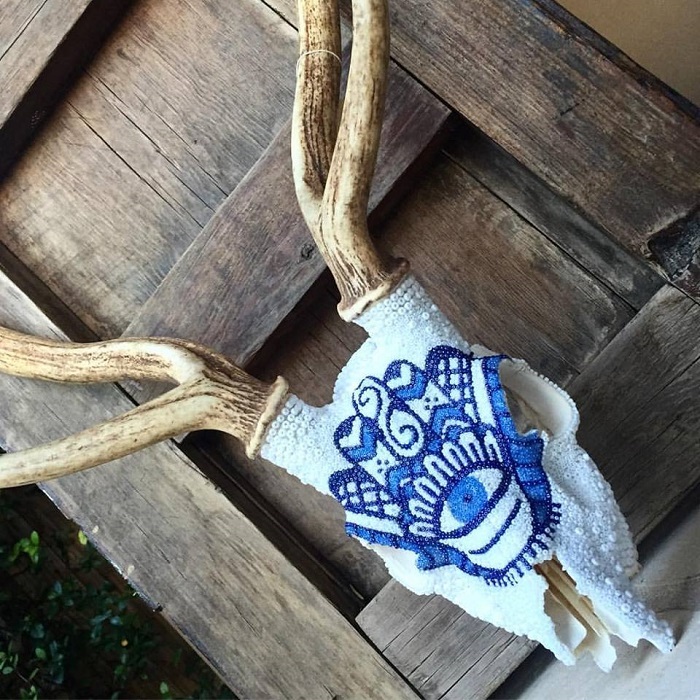 That’s how Haute Horns started for Annlyn Osborn, a South Texan and former Fiesta Duchess who makes intricate beaded and painted trophy artwork for clients across the state. Annlyn grew up in San Antonio, Texas, and throughout her life has kept one foot in the city and one on her family’s ranch, where her love of wildlife has blossomed. 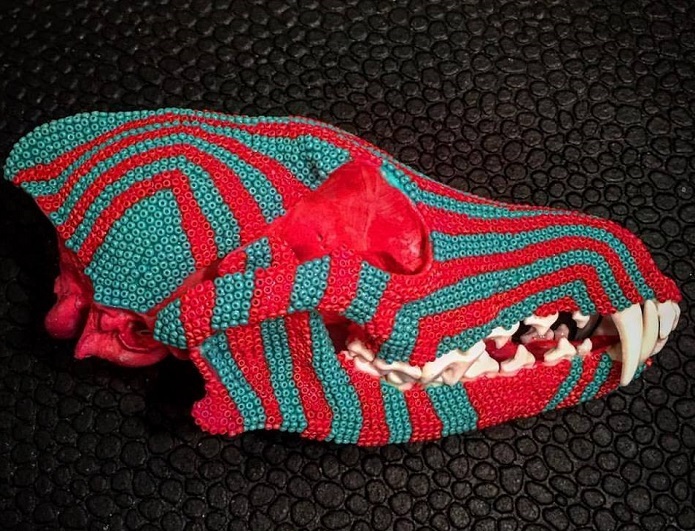 One night several years ago, her love of the natural world and her affinity for art fell together as an art project and she has been making custom trophy art ever since. I like to think that I breathe new life in to old European mounts by beading them. I’ve always had an affinity for the arts, and growing up spending time at the ranch cultivated a love for animals, so it fell together one night as an art project. Where do you get inspiration for different designs? A lot of my designs come from historical art and tribal patterns. I’m a sucker for a symmetrical motif. What is your most popular design/medium? Its a toss up between Swarovski TM crystals and seed beads. The crystals can sometimes provide a more stunning display, but the small beads showcase my attention to detail. Its so hard to pick a favorite, but I recently finished my biggest piece ever, a commissioned Swarovski TM longhorn. I hail from a long line of hunters who instilled a love for animals and conservation in my mind. Then, in 2010 I embarked on an eye opening Outward Bound journey that had a powerful impact on how I perceive nature. Yes, I love taking commissions where the client wants to add a personal touch to a trophy or family heirloom. Annlyn’s designs add color and flair to any trophy, small or large. I can’t wait to have a trophy worthy of Annlyn’s work! 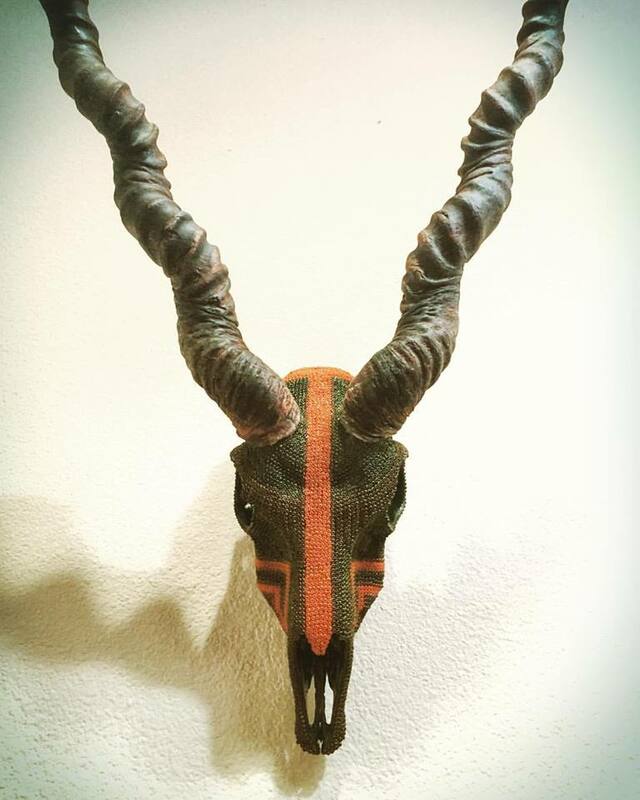 1 Reply to "A Stunning Way to Display Your Hunting Trophy"